It does not appear to be grasped by much of the Church in Australia, including not a few of those in leadership roles within it and its burgeoning bureaucracy, that a key work of the Church must be to do not with money and structures but with families. Instead, it sometimes seems that the Church is viewed by its own members more as an institution or a corporation, much as one would look at a federal government department – only much bigger. Yet both contemporary believing Christians, as well as non-Christians conscious of some general outline of history, could well be forgiven for looking about the known world with a sense of increasing dismay at how things appear to be tumbling down at an increasingly faster pace, a dégringolade of society, culture, commonly-held moral principles and standards of behaviour. The dismay is not, of course, really justified – or at least not the sort of dismay that leads to disheartenment. However, dismay at the increasing barbarity of our society is not inappropriate, nor is the assumption that just as it has on numerous occasions throughout history, widespread dislocation of culture is one of the final symptoms of a crisis and a cataclysm. This tumbling-down of culture in what are usually called developed societies over decades has already produced widespread social devastation and suffering at a concrete, individual level to which, humanly-speaking, the Church has not been completely immune. In Australia, Catholics are, numerically, almost indistinguishable in their outlook and beliefs from secular moral-relativist society and have drifted whichever way our society has chosen to go, regardless. This indicates a basic widespread ignorance among those described as Catholics by Bureau of Census statistics. Meanwhile, by every indice known to the social sciences, the innocent victims of progress have continued to pile up, year by year and decade by decade – children, marriages, families. At the centre of a battle between a vision of man and woman as created in the image and likeness of God is the family unit. On one side of this battle, very roughly speaking, are religious faiths such as Judaism and Christianity, but not excluding a number of others – sometimes apparently surprisingly. On the other side is what might be called the spirit of modernity, which is represented by an array of ideologues usually to be found in the media and in politics in its many disparate forms. We could almost point to two protagonists as exemplars of two visions of the human person: a figure such as Jorge Bergoglio who sees every human being as carrying a spark of the divine mystery of life within them on the one hand; on the other a figure such as President Barak Obama who sees human beings and families as disposable or dismantleable under a range of circumstances. The crisis of modern family life in Australia, which is one part of this global picture, is defined by how parents are to pass on their faith and moral principles to their children. On these foundations their children can build a good life. Without them, they are likely to waste their time in this existence, turning down all the false and fading perspectives and empty corridors that our culture offers them under the guise of freedom. Often too late, they find out the true cost of embracing a life lived without knowing that God is love. Essentially, the young are influenced by peer pressure – we could say overwhelmingly. They are influenced by culture, the media and those in authority in politics and entertainment to name a few key sources of the infection. Therefore, we might ask, what is missing in the Church that fails to convince them? We could nominate communion. What they do not see around them, especially in Australia, is a strong vibrant living community of individuals of all ages for whom faith is a vital concern. World Youth Day in Sydney was an illuminating and inspiring glimpse of what might be, admittedly under unusual circumstances, but nevertheless a vision of what is possible. Nevertheless, what they do not see including, unfortunately, in parish life, is Christianity as normality. Evangelisation by committee does not work. If the young are increasingly isolated from their families, it follows that the antidote is communion. Unfortunately, this is hard to detect in average Australian parish life, despite the best efforts of many. What is needed is a different approach that is methodical but which seeks to create living Christian communities centred on parishes. This means convincing parents of the importance of their own role and the importance of marriage and the family – too often taken simply for granted. It means working hard to develop conscious associations and links between families based on a recognition or acceptance of the Christian fact. 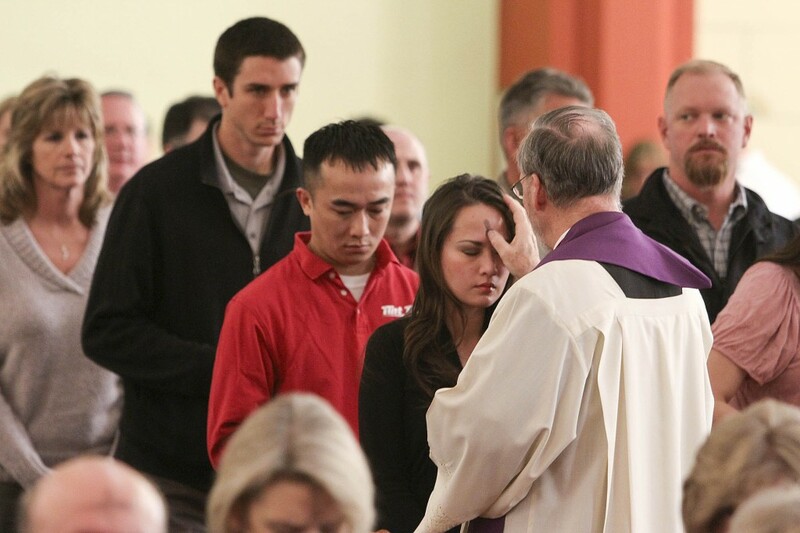 In the end, it means waking up ordinary Catholics to their baptismal vocation. One of the effects will be to demonstrate to the young that being a believing Christian is normality, not its opposite. Too often they feel completely out of place in Australian parishes and detect the gormless attempts to be cool which fall far short of their goal – often embarrassingly so. What they sense – perfectly correctly – is that Christianity as niceness impresses no-one. What they need is to know why death has been destroyed by Christ’s victory. In this sense, the witness of those around them is powerful and neutralises the peer pressure they receive everywhere else. This is overwhelmingly a work to do with the domestic Church we call the family.